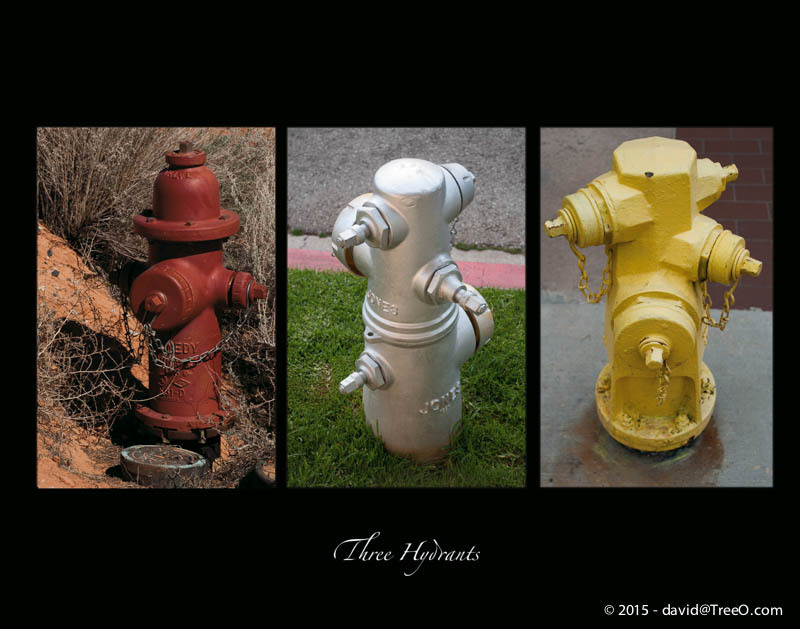 As many of you know, I am into photographing fire hydrants. They vary in shape, style and color and the background can add to a unique composition. These are three I photographed one of my trips out West. You can see my first composition, years in the making, here. These are mostly in Pennsylvania and the tri-state area.